PLAY WITH FIRE – FOR FREE! Hit the court with the Lakers and Celtics and heat up in a one-quarter exhibition. Then, UPGRADE to the FULL VERSION and jam with a friend in LOCAL MULTIPLAYER! BOOMSHAKALAKA! Rock your iPhone or iPod touch with all the over-the-top, high-flying, 2-on-2 arcade basketball action just like you remember it – and like you’ve never seen before! SEE WHY FANS AND CRITICS ARE ALL ON FIRE! GET THE FULL VERSION AND KABOOM! 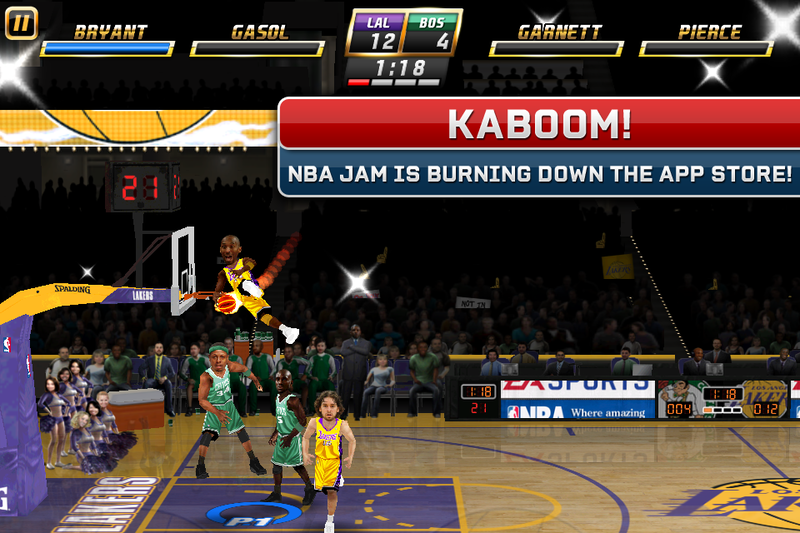 Jam with all 30 NBA teams and your favorite NBA stars! Unlock legends from the classic arcade era plus some secret players you can only get on iPhone/iPod touch. Open up outrageous cheats, too. 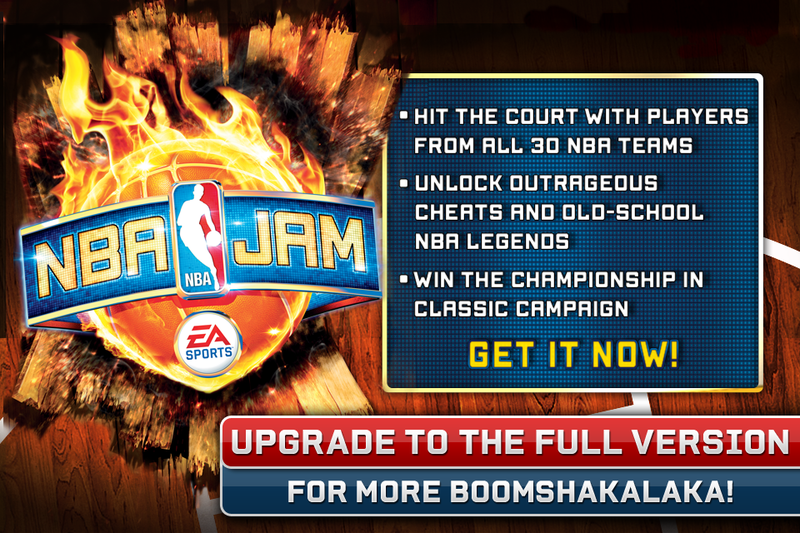 And if you can’t wait to go big, all the unlocks are available for instant purchase and download in the JAM store! Select a team and jump right into the ballgame. Win the championship in Classic Campaign mode, and unlock legends, hidden players and cheats. Even go big head 2 big head against a friend on iPhone/iPod touch or iPad via local WiFi and Bluetooth! If you’re from the Old School, you’ll feel the ‘90s nostalgia while you play the hottest new arcade sports game on the App Store. Featuring the voice of Tim Kitzrow (the original NBA JAM play-by-play announcer), this JAM is all about “boomshakalaka”¬– and beyond!